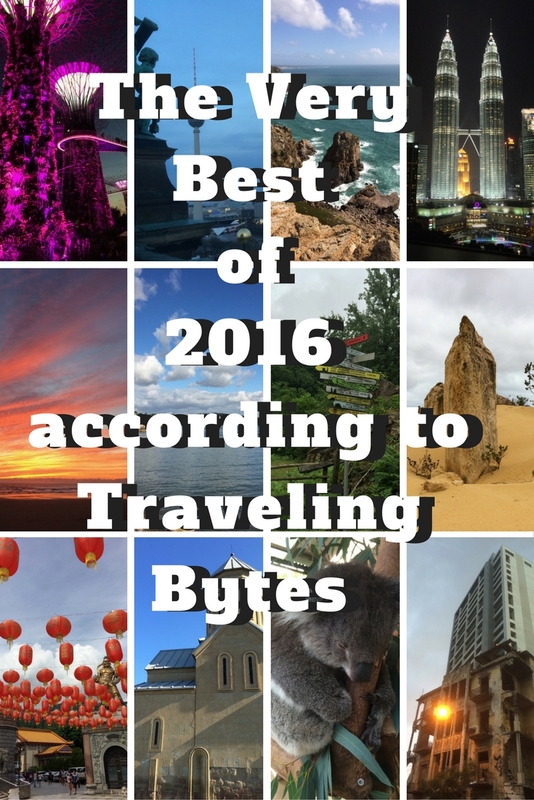 The Very Best of 2016 continues Traveling Bytes annual tradition of showcasing highlights of our slow travel lifestyle. In the past 12 months, we passed through 11 countries on 4 continents. 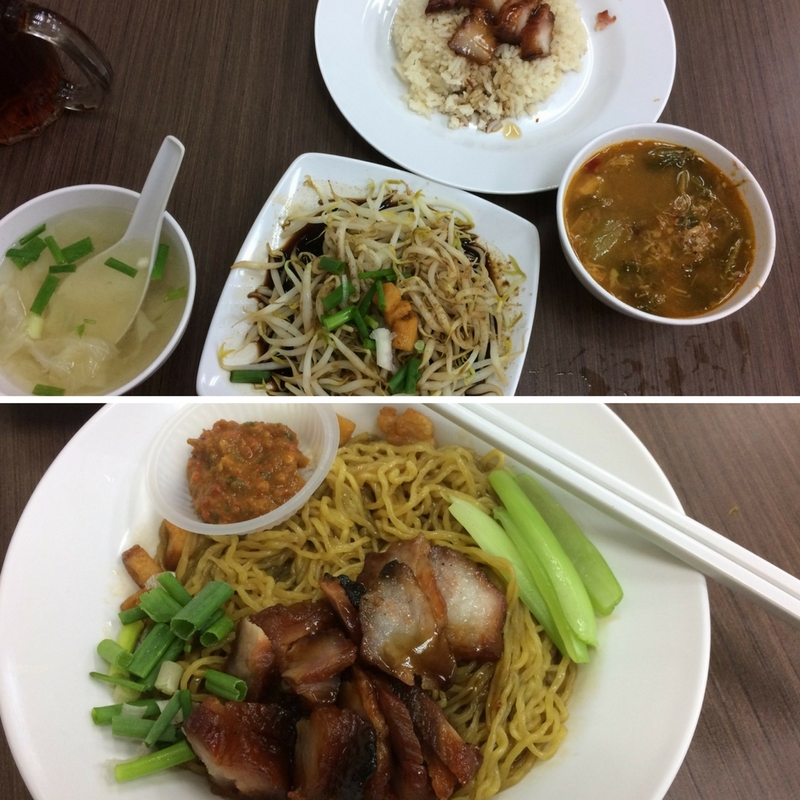 It was a curious mixture of cultures, traditions, languages, and cuisines: Cyprus, Lebanon, Portugal, Germany, Spain, Georgia, USA, China, Australia, Singapore, Malaysia. There were some incredible highs and miserable lows. We found our favorite place on this planet, Portugal, and a piece of Mars without leaving Earth. We finally made it to Down Under: saw free roaming kangaroos and emus and didn’t take selfies with quokkas. By the end of our 3.5 months there, we came to the conclusion that Australia is a perfect place for visiting, but is a no-go for slow travelers like us. It is mind boggling how this otherwise great country managed to botch their Internet. 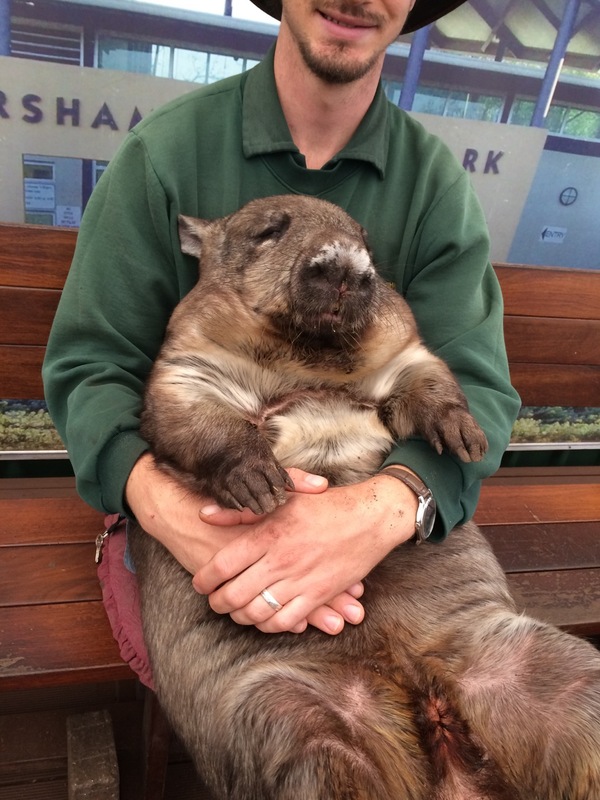 On the bright side, we met the best animal in the world (according to AT): wombat. In Georgia that everybody praises for their unique cuisine, my stomach rebelled against local diet. For 4 months I grumpily survived on rice and green tea while AT happily consumed prodigies amounts of khinkali and local wines. In Lebanon, we got lost in the mountains to the amusement of members of military checkpoint who we had to ask for directions. We even got a chance to spend couple days in 2 Chinese cities thanks to 72h transit visa. Before revealing our best of 2016 picks, I want to make some honorary mentions. Adorable kittens are indisputable rulers of the Internet. And Cyprus is the Cats Kingdom. Graceful felines provided endless entertainment and on rare occasions even posed for pictures. 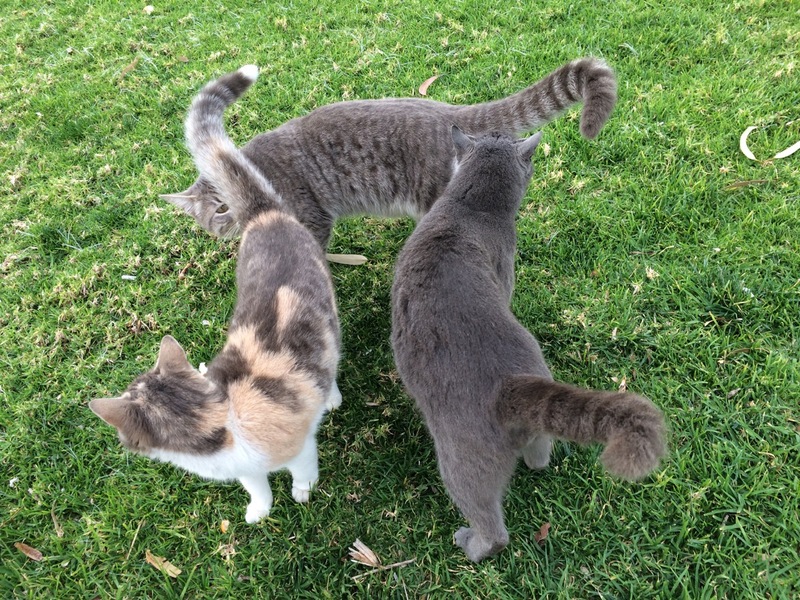 However, this furry trio surpassed all expectations by forming a perfect π. Come to think of it, π is the sixteenth letter of the Greek alphabet. Does this mean that these cats could read? 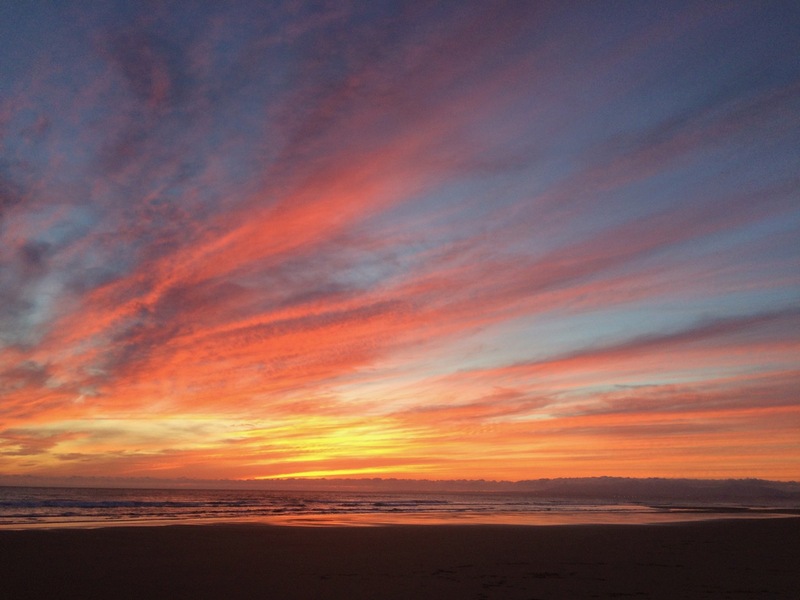 Every place we called home in the past 12 months awarded us with remarkable sunsets. They came in all colors and ranged from calm and peaceful to menacingly volatile. I loved them all, but the most striking one happened on Praia da Bolina in Portugal. When I was a kid, I read a sci-fi book. There was nothing special about it, just another mass-produced forgettable variety of literature. I do not remember the title, the author or the plot. However, it had a breathtaking description of an alien sunset. I thought that it was just an author’s fantasy. 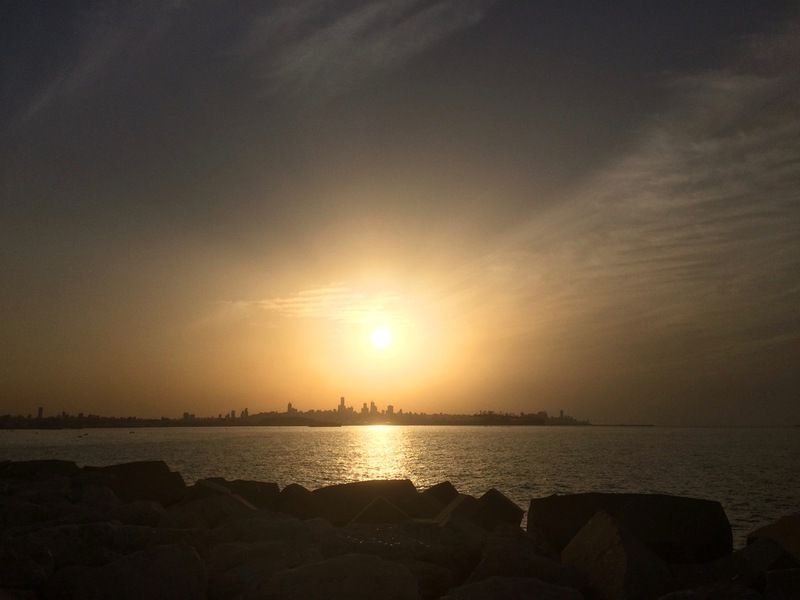 Apparently, sunset in Lebanon was an inspiration for aliens. Street art hunting is our favorite pastime. What could be better than walking along some street and —wham!— there is a masterpiece right in front of you. Frankly, I do not like these ubiquitous street art tours that lately became so popular. They lack the element of discovery, a sense of achievement and replace it with mundane been there, done that. 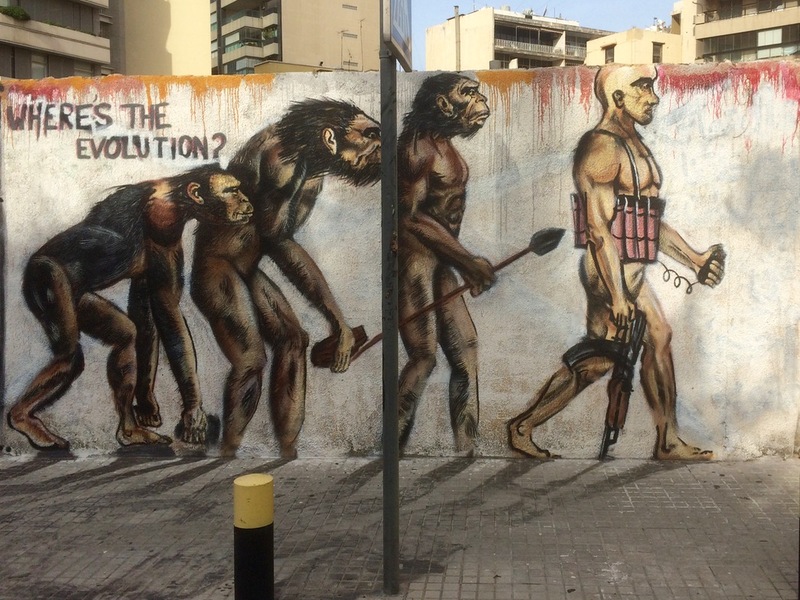 Looking back at all outstanding works we found, from Berlin, the street art capital, to Cyprus and Portugal, to Penang, Where is the Evolution by Karim Tamerji in Beirut was the most thought provoking one. And finally, here is our third annual The Best Of list. These weird looking creatures look prehistoric and alien at the same time. They considered delicacy in Portugal and Spain. Gathering them is a risky business since these crustaceans cling to rocks in places that have a strong crashing surf. The first time we saw them, instantly produced polite “Thanks, I’ll pass on this one” response. 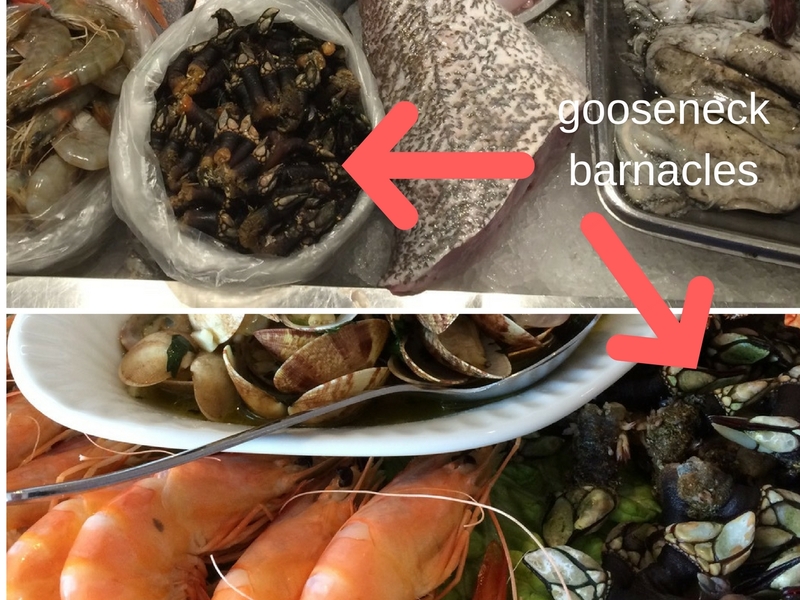 Luckily, they were included on a plate of local seafood we ordered in Cascais. Always game to try everything served, AT suspiciously investigated one fine specimen to figure what to do with it. Their flesh, safely hidden inside rubbery neck hence the name, is sweetly fresh and juicy. Once figured out how to deal with them, it is impossible to stop eating them. The ideal combination of rich cultural heritage, breathtaking nature, delicious food and wines, pleasant weather. Of course, the most important factor that brings all of the above together are kindhearted Portuguese who, unlike my beloved Andalucians, speak English. I am all for learning languages, but in a case of real emergency newly acquired language skills may not be adequate and be able to communicate in English could be a lifesaver. Read more about Portugal here. We all heard about it, but how much do we actually know about this city? It is an enigma for anyone who does not have a relative or a business colleague there. Why was it once called the Paris of the Middle East? What is happening there now? 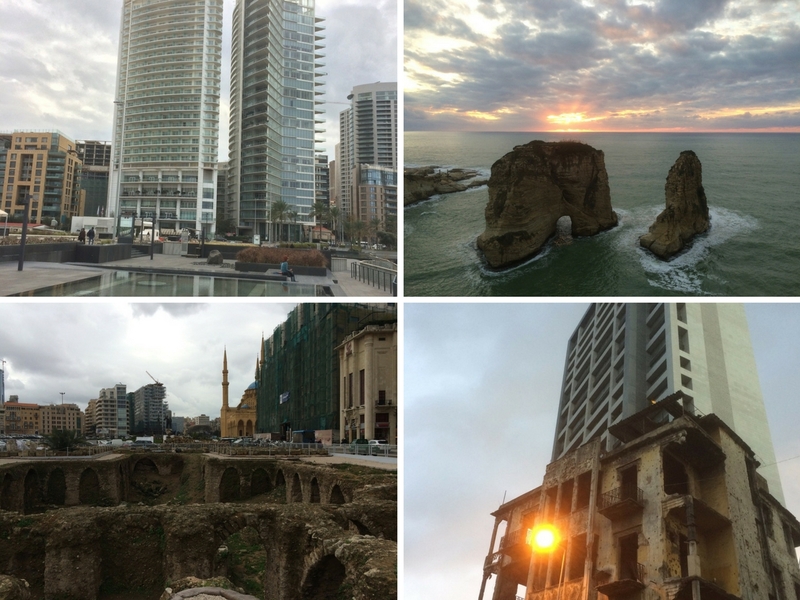 Honestly, the trip to Beirut was the best birthday present I ever got. Or, and let’s not forget about fantastic street art there too. A Pescaria was our favorite restaurant in Lisbon. 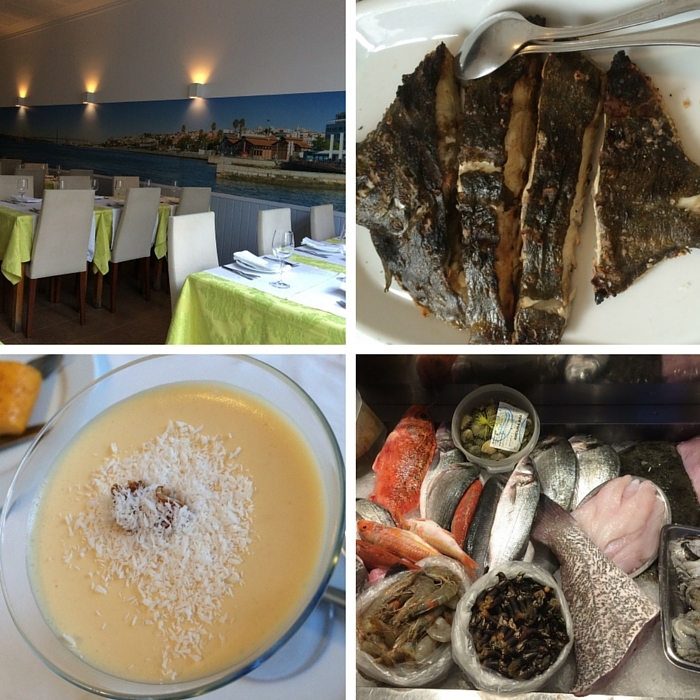 It is one of the best places to eat fish in the Portuguese capital. The restaurant is easy to miss. It seats in a tiny alley without drawing attention to itself. We failed to find it the first time we tried to eat there. I am so happy that we hadn’t given up. The second attempt was a success. At 7:30 on Saturday night we had entire place for ourselves. We trusted the owner with the selection of dishes and wine recommendation. The end result was the most delightful dinner one could wish for. 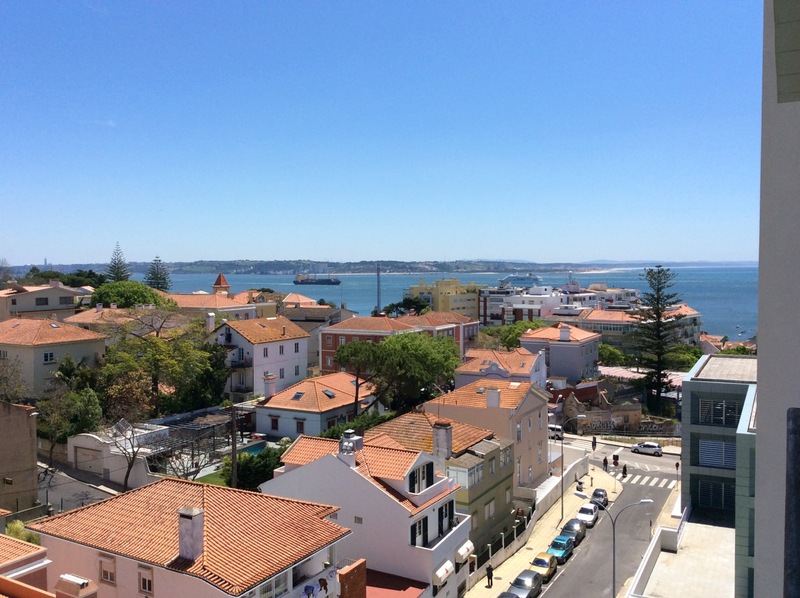 Read more about out picks of Happy Eats in Lisbon. 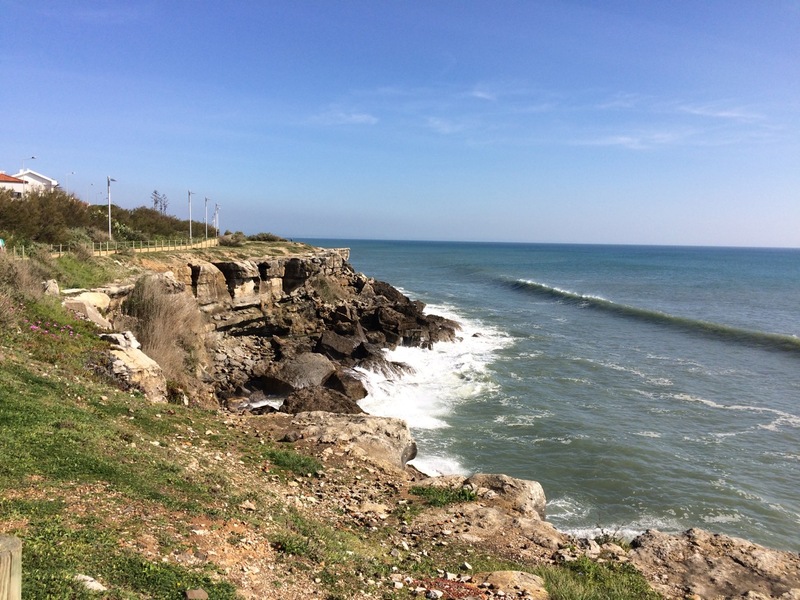 Just a quick 20 minutes train ride from Lisbon, Paço de Arcos is the perfect place for longer stay. Quaint and quieter than Portuguese capital, it was another Airbnb success: ideal combination of comfort, location, and the internet. I would never imagine Uber coming on top of the best of 2016 in the transportation category. However, Uber in Penang is an affordable, reliable and easily available way of navigating between island destinations. One might argue that buses are cheaper, but they do not provide door-to-door convenience which is much appreciated in high heat and humidity. 16.3km ride between our home and Georgetown on New Year’s Day cost 15.19Malaysian Ringgit = $3,38USD. Finally, we made it to Down Under. Naturally, close encounters with local fauna were ever so exciting. Kangaroos, emus, quokkas, I am not even trying to spell out all others with exotic and unfamiliar names. However, wombat ruled them all. Just look at his “I don’t give two hoots about anything” attitude. It was awesome! Forget about selfies with quokkas (poor shy creatures would be forever thankful if you leave them alone) and enjoy beautiful nature. We did it twice. Both times on bicycles which is undisputedly the best way to crisscross the island at your own pace. The loop was roughly 24km on paved roads. Snorkeling was fun, but we had to cut it short. Due to exceptionally cold spring in West Australia, the water was still too cold in December. 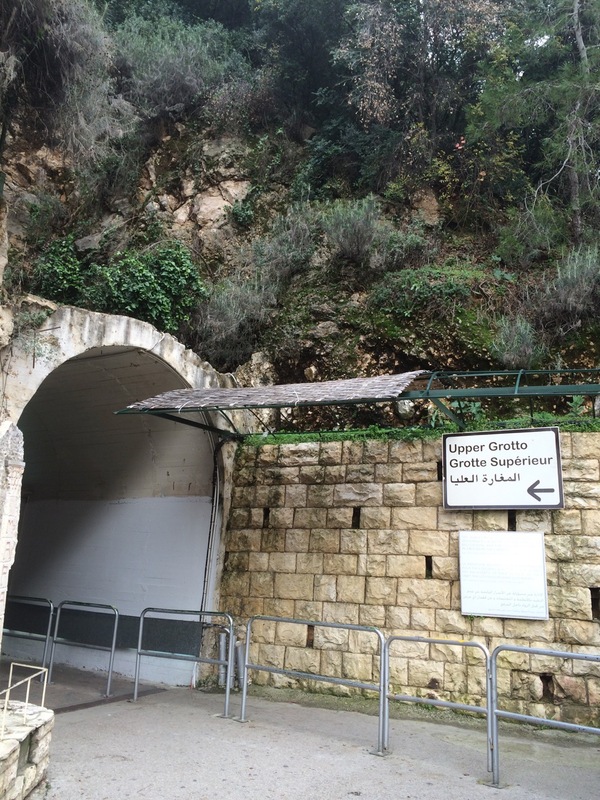 Nature has gifted Lebanon the treasure of Jeita Grotto. Millions of years were captured in drops of water there. The caves are known for their unique dazzling beauty formed by the myriad of astonishing lime formations of different sizes, shapes, and colors. One of the longest stalactites in the world measuring 8.2m is located in the upper cavern. The gorgeous work of Nature is so serene that it feels like an enormous cathedral. Photography is not allowed inside Jeita Grotto. I have to say that Gardens by the Bay exceeded all my expectations. They routinely come at the top of countless “top things to do in Singapore” lists, so I was expecting another overcrowded tourist trap. Oh boy, was I wrong. I take my hat off to all creativity, imagination and engineering genius behind this project. 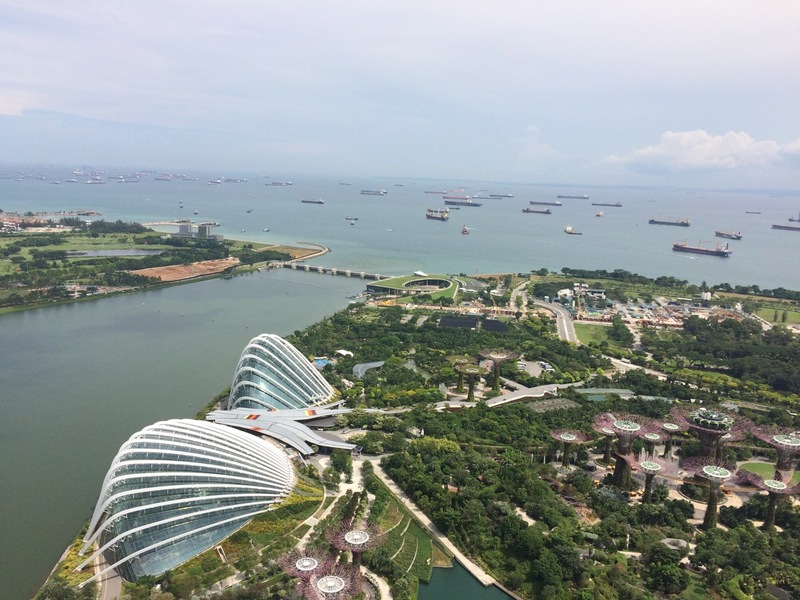 Moreover, I admire that not only Gardens by the Bay were conceived and built into existence by some very talented people, but they continue to grow, develop and thrive year after year. 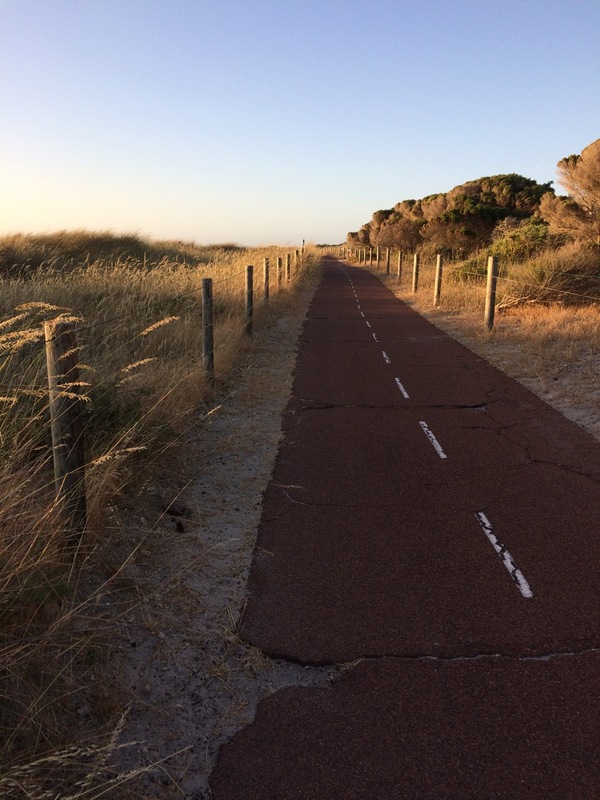 What could be better than running, walking or bicycling along the Indian Ocean following sunsets? Plus, dogs love this road too. Hence, lots of complimentary ear scratching. Sunny, not too hot, not too cold. To put it in one word: perfect. 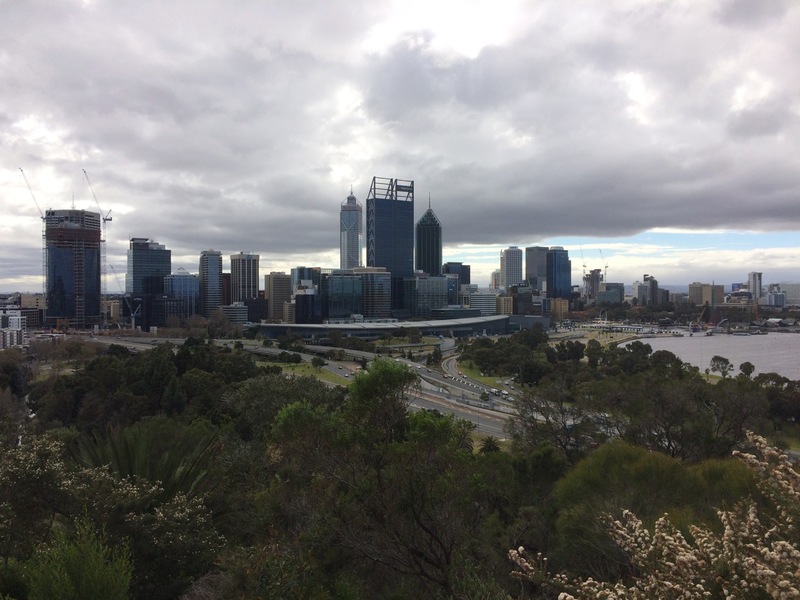 By the way, the most unexpected weather (and not in a good way) was in Perth. West Australian spring was unusually cold in 2016. 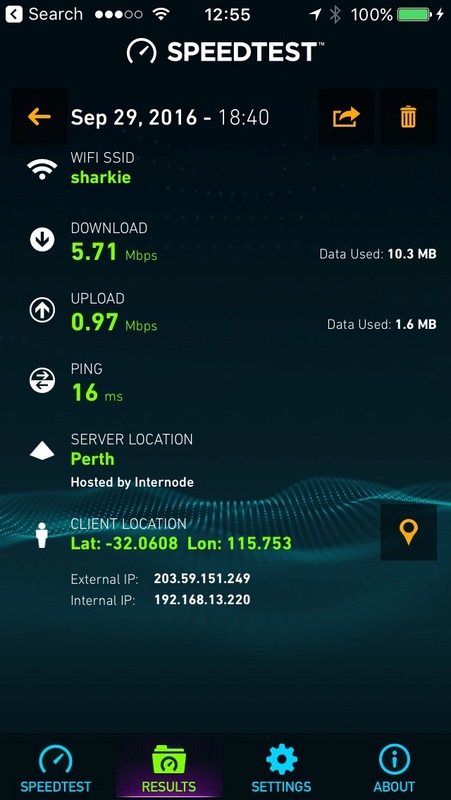 Incidentally, the slowest internet connection was in Fremantle in West Australia. Big disappointment. Arguably, it was the worst internet connection we ever had in our 3+ years of traveling. It is mind boggling how the whole country managed to mess it up. We had totally different experiences in Portugal (our worse experience) and it sounds like you did it right. And your mention of the Andalusians is very true, they don’t speak anything but Spanish. We were fine as we both speak Spanish and I think it was this more than anything else that made Sevilla a great base for 2 months. 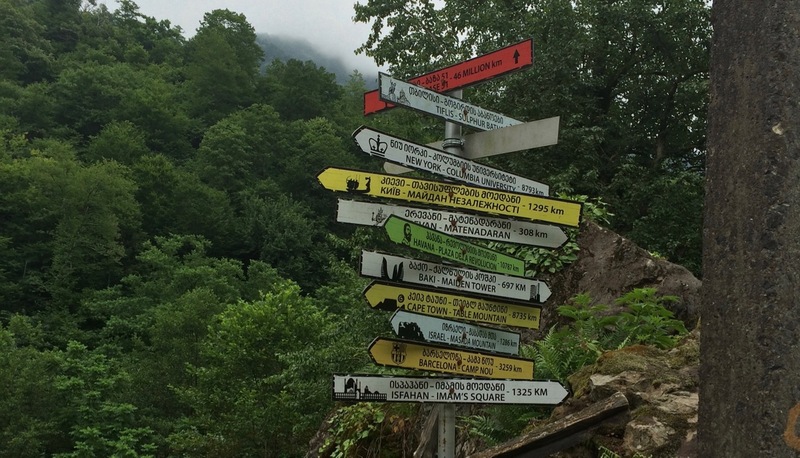 I don’t know where the last place was that we could actually communicate in the local language! 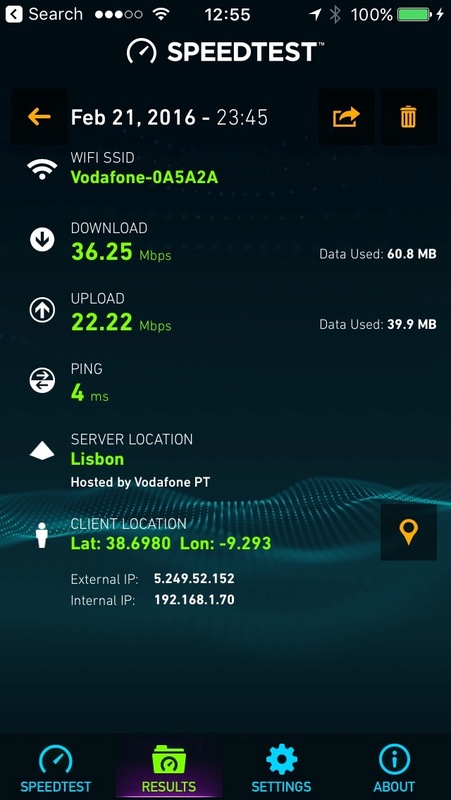 It’s funny that Australia has bad internet – so does South Africa. Nice to know other people who travel just like us. I’ll make sure to read more of your blog. Whoa! Looks like you had an epic 2016! I wish you a better 2017 for your more travels and adventures! Wow what an adventure filled year you had! Love how you broke it down by some of my favorite categories… sunsets and street art! Cheers to an amazing 2017! Wow, I’ve been debating whether or not to hit Portugal this spring but you have made my decision a lot easier. Great internet, English-speaking, friendly…now I need to start thinking about what I’ll do while there. I love how you’ve highlighted all your favorites from your various travels! Thank you, EG. Happy to see that you added Portugal to your travels. If you still thinking about what to do there and do not mind some physical activity, I have one for you. Bicycling around the country. 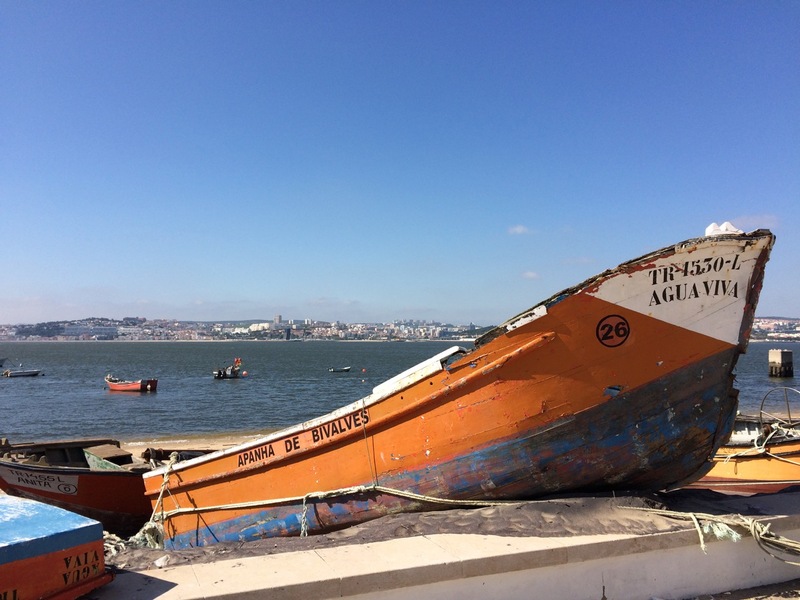 It was one of the things I really wanted to do there – couple weeks of pedaling on backroads and, perhaps, going as far as Algarve, but run out of time. Cheers! I also wonder where’s evolution? How is it possible that we have come to all this cruelty in such a beautiful world. I only hope that there will be another better stage. It looks like you had a fantastic year! 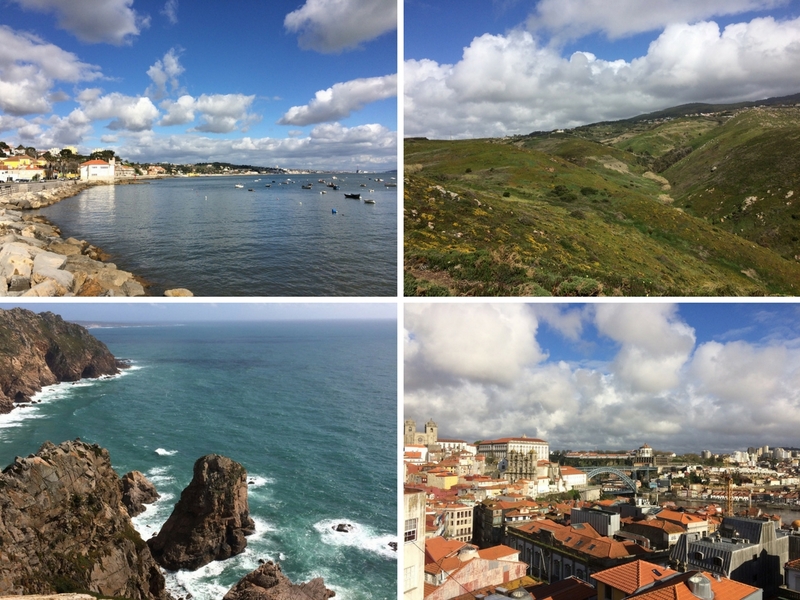 Portugal is also one of my all-time favorite destinations, and I hope to get back this spring. Love it. I really have to go to Beirut though. I am so not far away being based in the UAE. Fantastic street art is really a turn on for me! Wow, what a list. You’ve been to so many places this year. I agree, Portugal is a perfect place to stay long-term. It has the most perfect climate, amazing diversity, fascinating culture and a relaxed vibe. 11 countries on 4 continents sounds amazing! 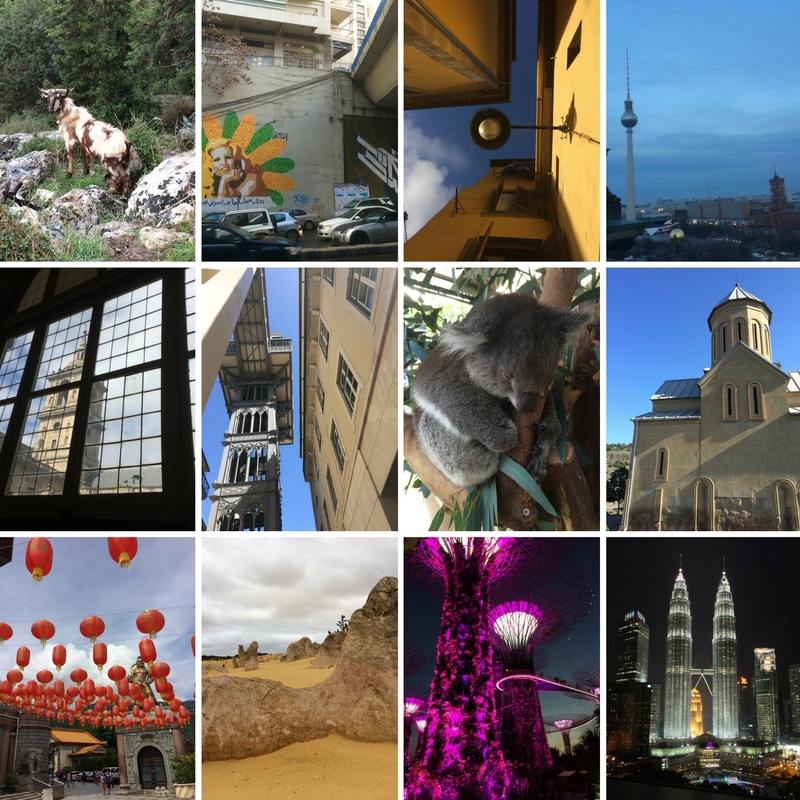 I am glad I discovered all these wonderful places through your photos, I gained some great travel inspiration. Elena this was a fantastic recount of all you managed to see and do in 2016. 11 countries and 4 continents is impressive. Also, I can very much agree with you on the fact that the internet was a bit of a botched job! Quite shameful! If you were back in Perth now, you would be very much tanning in the 41 degree temperatures which have made visiting the sea and beach quite perfect. Lisbon looked incredibly beautiful and I never cease to be impressed by Gardens by the Bay in Singapore. Portugal has long been on my list to visit, reinforced by your guides. I thoroughly enjoyed reading your in-depth review and thoughts on each of these places – even down to the internet review. 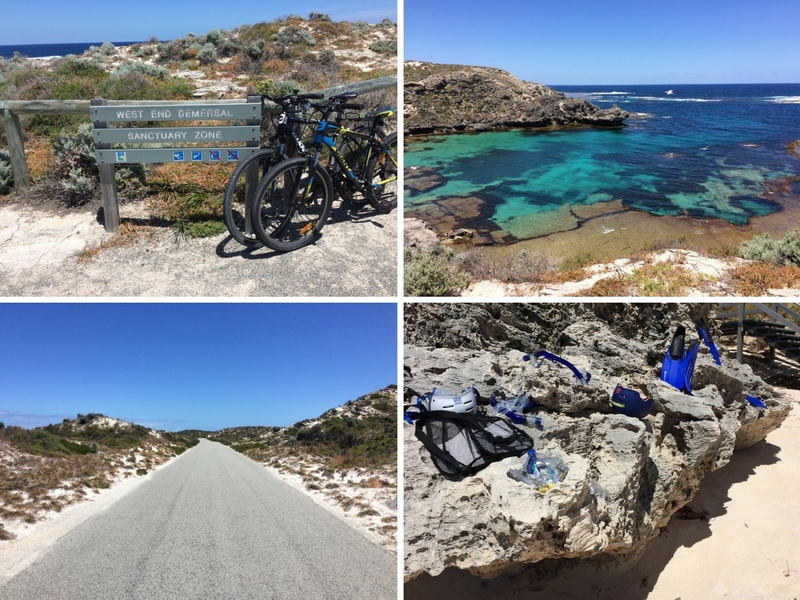 Your google map has been a big help in locating the bike rental in Rottnest, definitely a tip to remember.